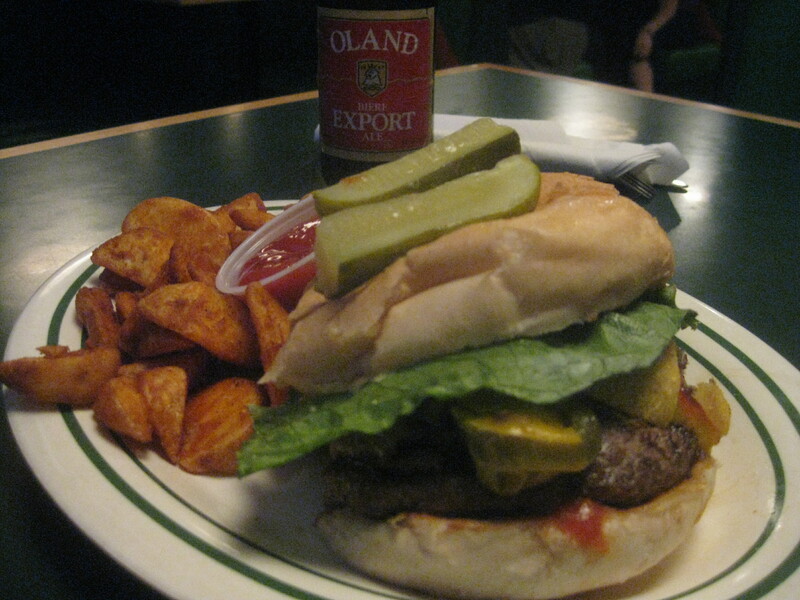 If you are just tuning in, please refer to my last post where I featured Relish for my first Halifax Burger Quest! Currently I am tackling “gourmet” burger restaurants, but this burger quest will eventually take me to pubs, diners, and drive-ins. I don’t use a numerical rating system. I do review veggie burgers. Now that you are briefed, let’s take a look at the Hali-favourite, Darrell’s. Halifax is in love with Darrell’s. But I’ll let my bias be clear: I’ve always thought they had mediocre frozen patties, albeit excellent milkshakes. They win every year in the Coast Awards for best hamburger, and for years this was probably somewhat accurate. Halifax was a burger wasteland. 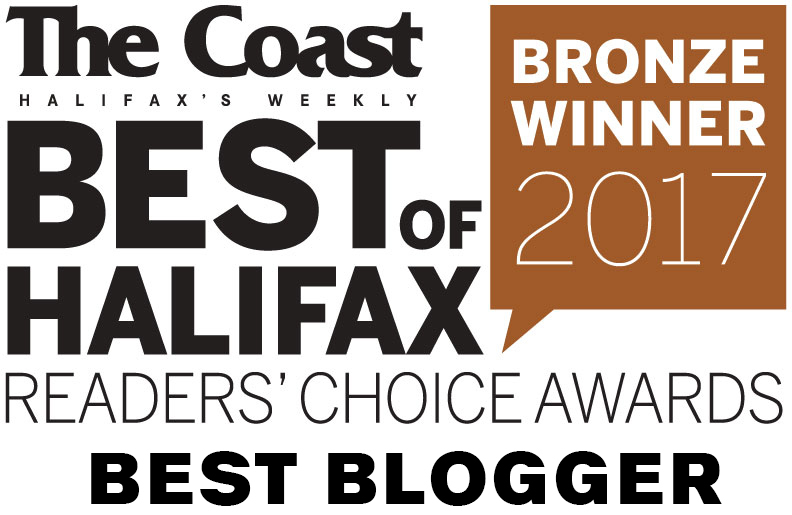 Halifax is now becoming a burger-friendly city, yet in 2012, Coast readers still awarded the burger crown to Darrell’s. Reader’s digest has declared it the 7th best hamburger in Canada (though I don’t trust a list that puts Calgary’s Peter’s Drive-In on the same list as Ottawa’s The Works). 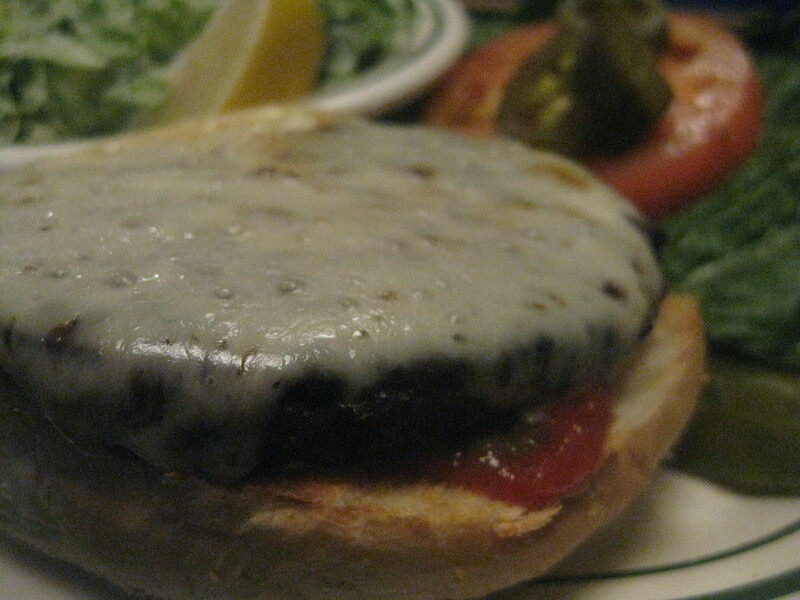 Haligonians insist the peanut butter burger is the most drool-worthy creation since the donair. But with all the new gourmet burger joints popping up, I am fairly confident that next year Halifax will see a new champion. I went into Darrell’s with an open mind and no expectations. I had it on good authority that Darrell’s does NOT use frozen patties, after all. They do, however, use that Certifed Angus Beef Brand which hails from America and uses Alberta beef. The “Darrell fries” are obviously frozen. Strangely enough, the menu brags up the use of an “Annapolis Valley fried egg” on another burger. Suddenly we’re fresh and local? Oh well. I brought my vegetarian correspondent, as well as a kitchen insider who said we just HAD to try the newly coined “Nacho Typical Burger”. Well, this was yummy! 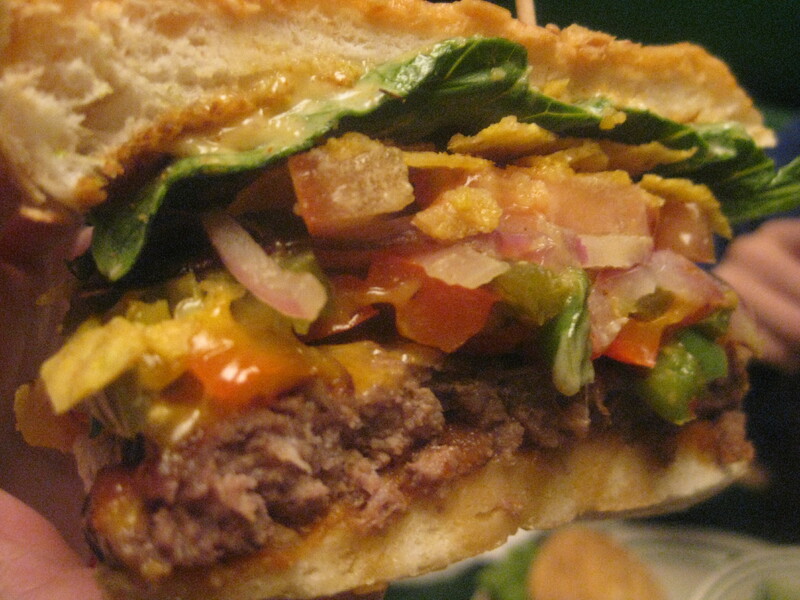 It’s basically nachos on a burger… cheesy, crunchy, with a burst of salsa. I’ve been searching for a burger just like this. My only complaint is the one I suspected. I know the beef isn’t frozen, but its consistency tricks me into thinking it is. How does this happen? It is also thinner than I like. Look – there are two types of burger advocates: thin burger eaters, and thick and juicy burger eaters. The former group prioritizes the toppings, with the meat being a team player. 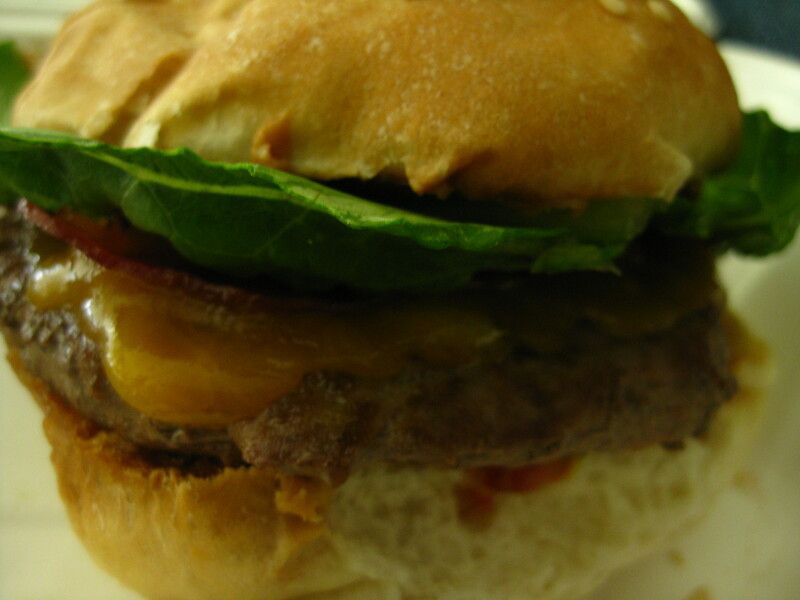 The other group wants a big, thick, juicy patty first and foremost, and that’s my bias. When it comes to Darrell’s, I just can’t get into the beef. 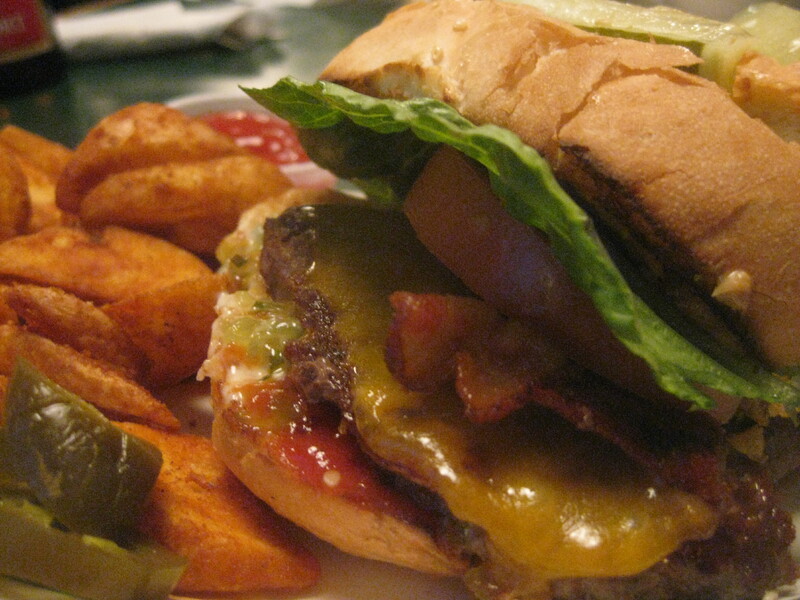 The peanut butter burger is the Halifax favourite. It is not a creation unique to Halifax, though I’ve seen Haligonians eagerly recommend it to tourists. It sounds strange to the uninitiated, but the rich creaminess of peanut butter is actually quite pleasing on a hamburger. There is also bacon, cheese, ketchup, mustard, relish, mayo, tomato, lettuce… the usual suspects, and they surprisingly don’t clash with the unlikely peanut butter. Onto the veggie burger; the oft neglected member of the burger and pub food family. The menu claims this is another Coast Award winner. Best veggie burger, I’m guessing? (I couldn’t find it on the Coast’s web site). It’s a soy-based patty with standard hamburger toppings. Kinda boring, but how does it taste? Average. With my first bite I could swear I could taste the soy (yes, carnivores, this is a bad thing), but after my taste buds were introduced to my own burger, I found the veggie to be very bland. 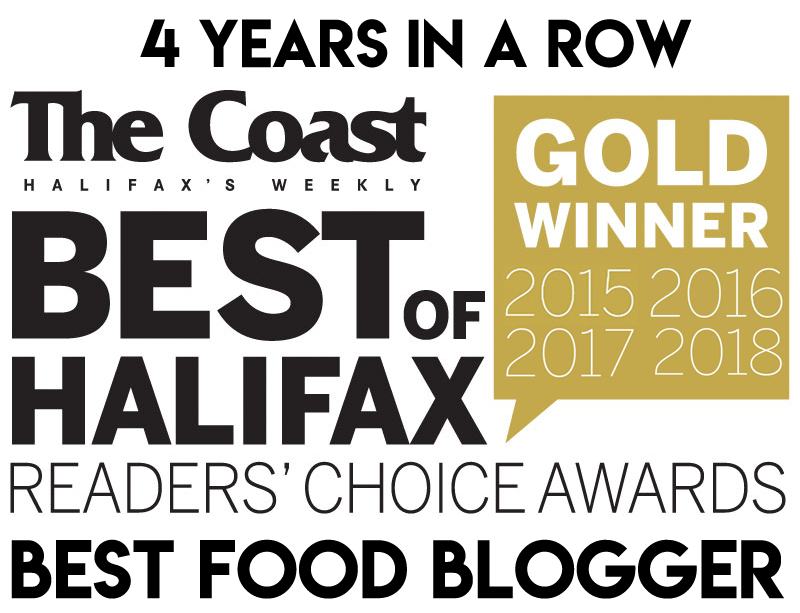 I’m guessing that this burger won the Coast Award the same way many Coast Awards are won: Haligonians vote in categories they know nothing about and/or they are uninspired to explore other options. This is well understood if you consider the percentage of Coast readers who are students, and the location of Darrell’s. I will credit Darrell’s with having awesome milkshakes. They also sell 16 oz draught for $4.19 “8 days a week”, including Garrison products and their own Darrell’s lager (probably supplied by Garrison). Mondays are buy one burger platter, get the second one for half the price. There is free wi-fi and and cozy diner-style booth seating. Service was just okay, but I don’t like to dwell on service or include it in my burger evaluation. Basically I am looking for good beef, and I’m not finding it at Darrell’s. 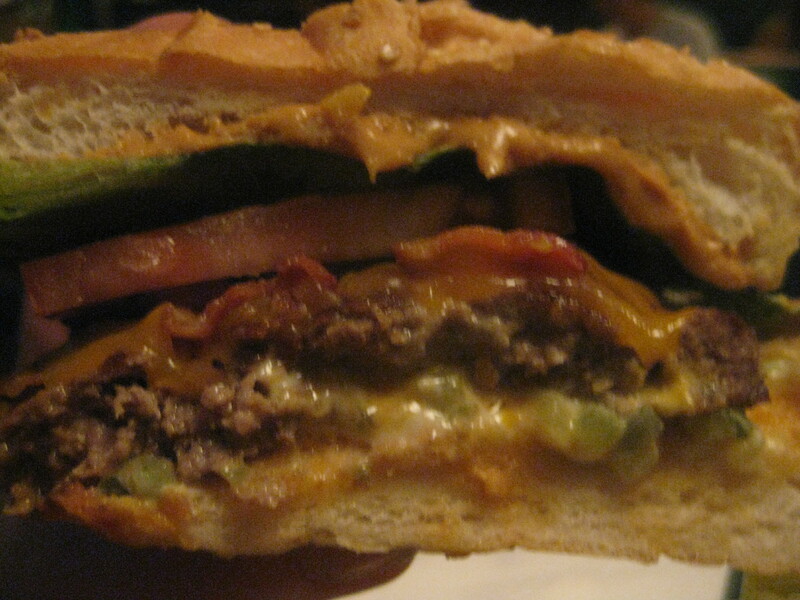 The Nacho-Typical-Burger and the Peanut Butter Burger are great sandwiches, but they are not amazing burgers. Only 3 times in my life have I bitten into a burger and was compelled to pause in pleasure and awe. I hope to one day have this experience in Halifax. Great Review!! Have you tried Cheese Curds in Dartmouth yet? I have tried to go twice now, and its always packed…which might suggest its got the Beef you are looking for? I have yet to do Cheese Curds but I have a good feeling about it! It’s just so far away, and the ferry doesn’t sync well with my schedule. Next weekend I’m doing Ace Burger. So the weekend after that I’ll HAVE to do Cheese Curds! I feel like we should know each other! I feel the exact same about Darrels and am at a total loss as to how they keep winning best burger. Old habits I guess. I have recently tried all the new burger joints (slight burger addiction!) and, for me, the clear winner is Ace Burger Co. Start with the classic. Excited to hear what you think! Thanks for reading! I’m very disappointed that my Ace blog is not up yet. I had a bunch of people scheduled to come with me on Sunday for City Harvest, but Gus’ Pub was entirely closed! It will have to wait until next weekend but I am still very pumped.